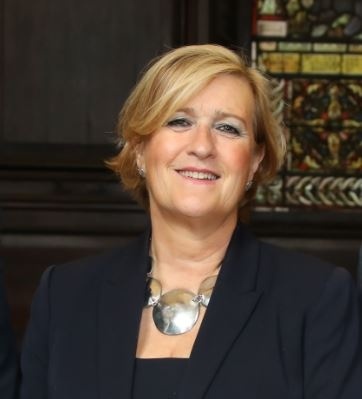 Lesley Batchelor OBE is a champion of UK exporters, with a powerful track record in enhancing the export performance of hundreds of businesses. From a blue-chip background, she now works as director general of the Institute of Export (IOE), an education foundation providing qualifications and support for business for over 80 years. Lesley is active on the APPG Advisory Panels on Trade & Investment and Manufacturing, she has given evidence to the House of Lords Select Committees on Government support for SMEs. Lesley is often sought out for comment on Brexit and international trade issues writing thought leadership pieces for many journals. Yusen Logistics has been a member of the IOE since 2016. Trump and Brexit have brought international trade to the fore in recent years. Yet, while the tenets of free trade and the rise of globalisation may appear under threat, there remains plenty to be excited and encouraged by in world trade. At the Institute we’ve often spoken of the need to protect and enhance a rules-based order of trade between nations and international businesses – one that encourages fairness and clarity for exporters. We also believe that more can be done on an international level to encourage businesses of all sizes and from all places to enter international trade. The benefits of exporting are plentiful. It helps to increase your business’ sales and therefore profits. It helps to spread risk so that market failure in your domestic country doesn’t lead to your own failure as a business. Making your offering appealing and relevant to multiple consumer bases can actually serve to improve your goods or service, as well as your business processes. Last but by no means least, through international trade you get to meet and work with a fantastic variety of people from different cultures – something we believe to be intrinsically valuable and enlightening. Of course, exporting can only do all these wonderful things if it is done properly, with proper research and planning. Going into export blindly can lead your business down negative spirals of unforeseen administration and paperwork, delays and fines at borders, low uptake in markets for which your offering isn’t well suited to, and financial hits through low sales and slow payments. As we so often say, exporting is easy, but only when you know how it’s done. A couple of years ago, The Institute of Export & International Trade was delighted to take on the Open to Export project, which continues to be a fantastic service for SMEs looking to export for the first time. On it there is a wealth of information about how to get started in international trade with thousands of articles, webinars and FAQs, drawing on the expert advice of specialists throughout the trade world, as well as businesses who have already been there and done it. 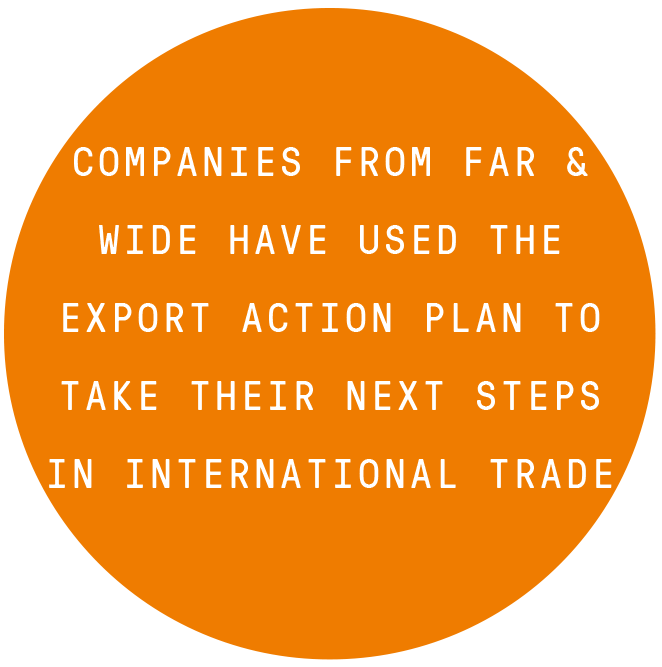 The most valuable part of the Open to Export offering for SMEs is the ‘Export Action Plan’ tool – an online planning tool that prompts businesses on the areas they need to research and improve on to export properly, while allowing them to set achievable actions along each step of the way. Through answering the questions on the tool, using the information on the Open to Export site, companies are able to come up with a practical list of achievable actions they can take in order to export compliantly, profitably and successfully. In essence, it allows companies to take ownership of their export strategy to ensure they can enter international trade knowing what to expect. We’ve been delighted by the impact of the tool in the UK and now throughout the world. Earlier this year, we were selected by the World Trade Organisation (WTO) and the International Chamber of Commerce (ICC) as a ‘Small Business Champion’ alongside tech giant eBay and the Brazilian National Confederation of Industry. This is a huge honour. With the support of the WTO and ICC we’ve been able to take our Export Action Plan tool to the world – practicing what we preach! Companies from far and wide, from Mongolia to St Kitts, have used the Export Action Plan to take their next steps into international trade. Indeed, this October some of the world’s best export planners will be gathering in Geneva for a competition final in which they will pitch for the chance to win $5000 towards their plans. This will be a fantastic showcase of the effectiveness of Open to Export on a global level. We’ve been delighted by the backing of the WTO and ICC and see it as a clear signal that, despite the negative press free international trade has received from some quarters, there is nonetheless still a global will for international trade to thrive freely. Encouraging and facilitating exporting remains the best way to develop nations and economies, to foster greater international collaboration, and, ultimately, to allow people from all parts of the world to interact and learn from each other.